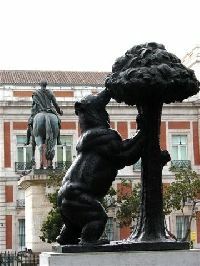 Puerta Del Sol is the centre of Madrid. No visit to the Spanish capital is complete without a walk in this square. Not far from Plaza Mayor, it represents not only the centre of city but of all Spain; all distances in the country are in fact calculated from the clock tower. Very lively and full of shops and malls, such as El Corte Ingles, the small residential area is near Plaza Santa Ana, not far from the most famous museum in Madrid, El Museo del Prado. Plaza Santa Ana is very lively and full of cafes and restaurants, surrounded by small lanes typical of the Huertas area. It is quiet during the day and then explodes into life at night. This is your area is you are looking for nightlife. If you are looking for peace and quiet, this district is not for you.